The Rosie Effect continues the story of Don and Rosie, now married and living in New York. 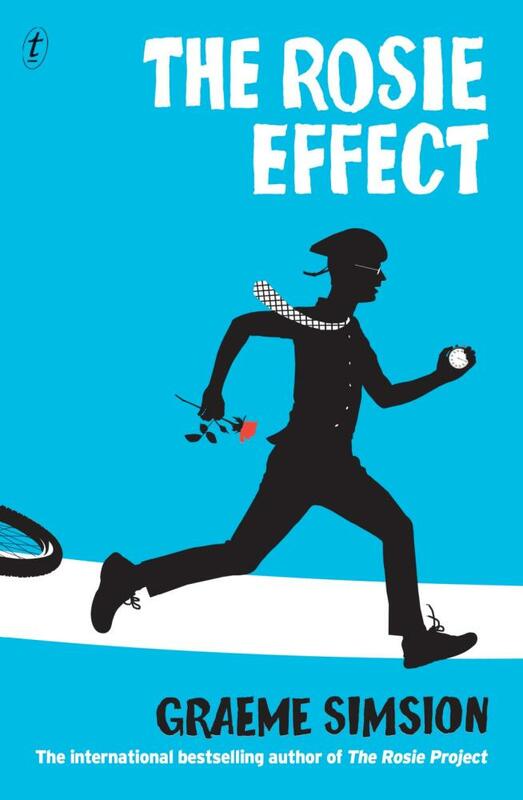 While I enjoyed ‘The Rosie Project’, I found ‘The Rosie Effect’ BRILLANT! Don and Rosie are settling into their new life in New York when Don is thrown a curve ball, Rosie announces; “We’re pregnant”. This is the beginning of a hilarious and delightful story; one which I am sure everyone will find hard to put down. There are some familiar characters Gene, Don’s best friend and Dave the American who Don met on his trip to New York. All the characters both old and new fitted so well together. Their stories and the way they interacted with Don added those special elements that made this book so AMAZING. Graeme Simsion’s writing style is very engrossing; you feel like you are actually part of Don’s story. I found it hard to believe Don was not a real person and that I wasn’t his friend sharing his ups and downs. ‘The Rosie Effect’ will make you laugh; be prepared for strange looks if you are reading on the bus or train. You will also hold your breath and hope against hope that Don will triumph. It would be very hard not to like ‘The Rosie Effect’. Instead I feel people cannot help but be sucked into the vortex that is Don Tillman. I can already tell that ‘The Rosie Effect’ will be very high up on my list of books that I loved this year. This entry was posted in All, Australian Authors, Awards & Prize Lists, Fiction, Recommended Reading and tagged Graeme Simsion, Parramatta City Library, The Rosie Effect by admin. Bookmark the permalink.